Coffee has become a part of our daily ritual. We drink it as a pick-me-up when we wake up in the morning or when we want to take a break. There are even people whose philosophy is that a day is never complete without having drank a nice cup of coffee. Perfection in a cup can be hard to achieve especially if you are forced to use instant coffee. Getting a coffee machine can be a good step towards perfection but 100 percent consistency become a problem, you’re just not sure you’re going to get the same kind of brew everytime you make a fresh batch. That’s why a machine like Coffee Bean and Tea Leaf’s Kaldi is a great leap forward to great, gourmet-level coffee, espresso or tea every single time. 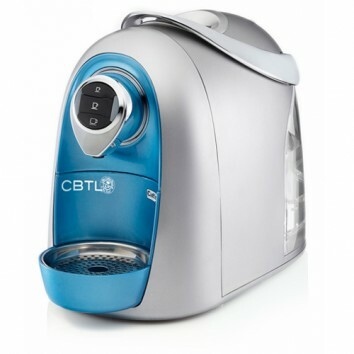 The CBTL Kaldi is a single-serve beverage system that allows you to make various kinds of espressos, coffee or tea by using beverage capsules that contain the type of beverage that one wants to make. Using the Kaldi system is very simple. You just need to insert the beverage capsule you like, press a button and coffee is served. Currently there are almost fourteen kinds of coffee or tea that can be made and the price for the beverage capsules themselves is more than affordable. It is significantly more inexpensive compared to ordering coffee from any coffee shop. The Kaldi is a great investment because unlike other single serve beverage systems, it can make three different kinds of drinks. Most systems can only do espresso, and badly at that. But the Kaldi can give you espresso, brewed coffee and even tea. This makes it a versatile system that can even become the life of the party or get together with friends inside your home.